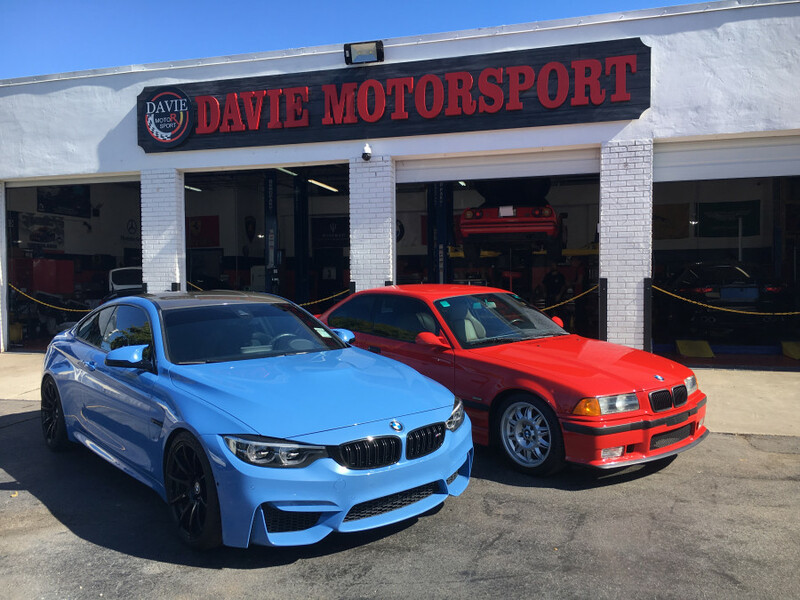 DAVIE MOTORSPORT is your preferred destination for automotive excellence. We offer full service automotive repair for all BMW vehicles on the road today. Our shop is equipped with state of the art diagnostic, programming, and repair equipment. The employees at Davie Motorsport are dealer trained. Our technicians are ASE Master Certified with over 25 years' experience. 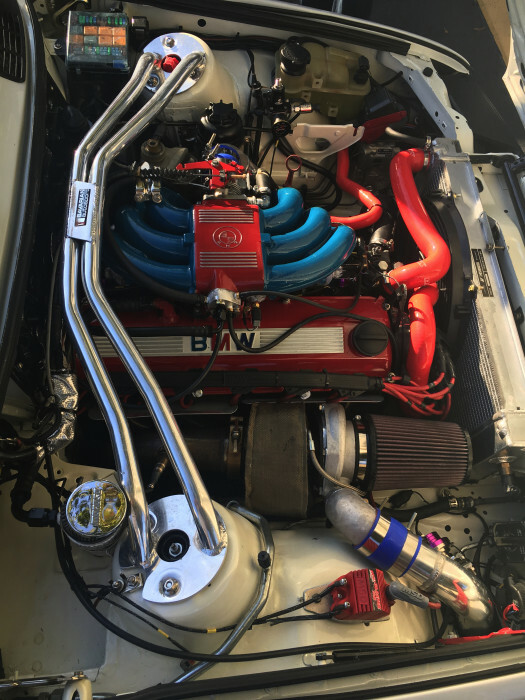 We also offer a full line of BMW performance parts from Active Autowerks, Dinan, and Turner Motorsports. We service the areas of Davie, Weston, Plantation, Pembroke Pines, Sunrise, Fort Lauderdale, Coral Springs, Miramar, Aventura, Hollywood and all of Broward County with expert BMW service and repair. Very knowledgeable, came to make sure all upgrade modifications to my car were secured and installed correctly. Gave me a full inspection on my car as well. I felt confident leaving this place knowing my car is safe to drive. My e92 was misfiring in multiple cylinders. I took it and got it looked it over at Davie Motorsport. I was told my fuel injectors were clogged and causing misfires in multiple cylinders. The repair was done and I picked the car up after a few days, and the car now runs better then it did when it left the factory. I will for sure be bringing my car back for any inconvenience I may have with my 335i. Davie Motors is the place to go! I took my 2001 330i to get my coil overs done and they did an AMAZING job. I also asked for a quick diagnosis, and they told me about many small things I had no clue about. I have been back several times for multiple jobs after the coil overs and they failed to disappoint. I brought my BMW to Davie Motorsport with a coolant leak. They ran a complete diagnostic on the car and provided me with a great online explanation of their findings. I had a leaking water pump. They R&R'ed the unit as well as the thermostat. The repair was not inexpensive, but the work was done well. The next day I noticed the low coolant light on the dash, brought it back, they checked it again and found no leaks, just needed to be topped off. I am a Canadian snowbird that had an ignition problem on a 2012 BMW 128i. After reading reviews about Davie Motorsports I decided to phone them to make an appointment to get it repaired. I was happily surprised to be able to bring my car in the same day , get a diagnosis and an estimate for the repairs. As promised the car was ready the next day (they even washed it). Very professional service ,I would definitely recommend Davie Motorsports. Have had a great experience at Davie Motors each visit. I've taken my BMW for service here for about two years now since my BMW warranty has expired and the BMW is running just as smooth as ever. First time stopped at Davie Motors for an oil change and I was surprised with the excellent service I was provided by the owner and staff of this place. It was quick! They gave me a free car wash and a big discount! Doron and Jito and Jorge all welcomed me kindly and explained everything step by step. This place is Professional! I highly recommend it, stop by and you will be surprised by the set up! Thanks a lot! 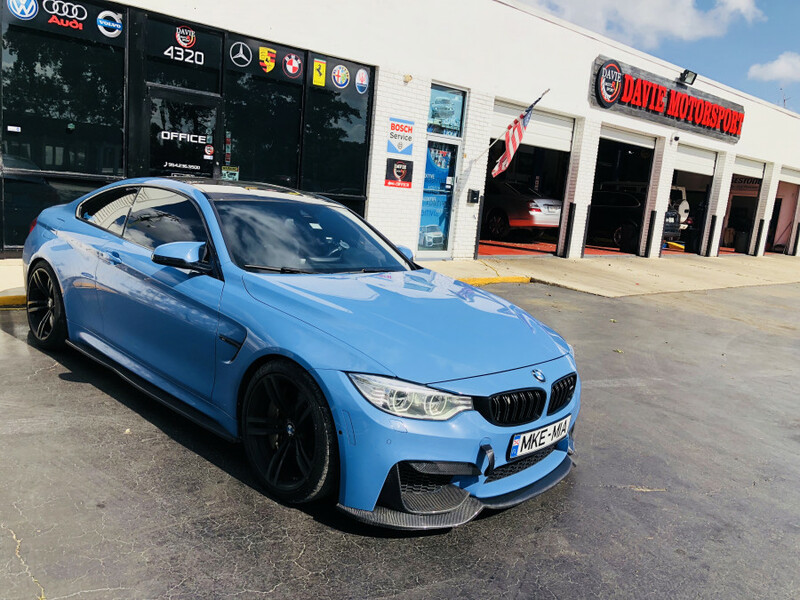 Davie Motors is the best shop for BMW repairs. They always do quality work and treat your car like one of their own. The guys at Davie Motors are always on the ball when it comes to keeping you up to date on how your repairs are going. I'm lucky I live in Davie because I have met people that come from pretty far to have these guys work on their vehicle. If you have a European Car I would recommend you to go visit davie motors when you need repair work done! I took my car in with a check engine light they repair my car with no problems and clean it after very nice place and the staff is very nice i will recommend this shop to everyone . 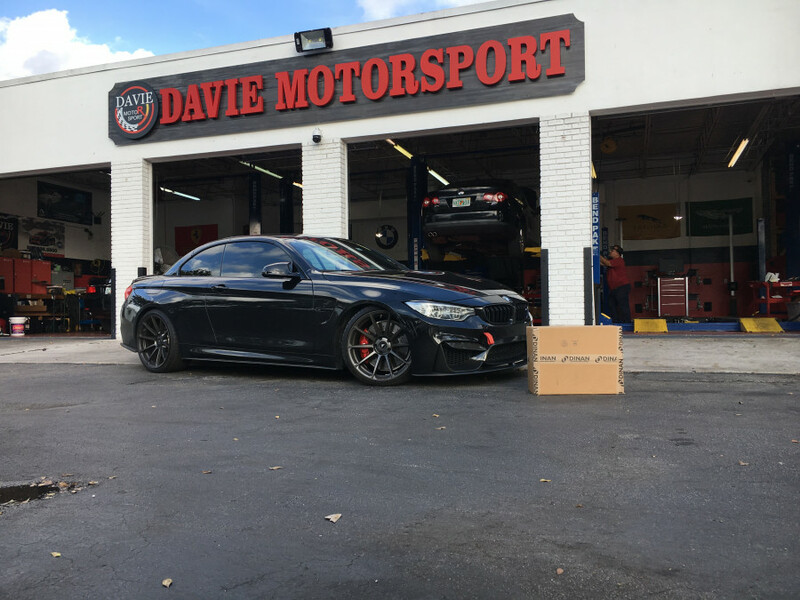 I went to Davie Motor Sport this morning to have my BMW 328I serviced. The shop is very, very clean and professional in appearance. The staff is knowledgeable and attentive to all of my questions. When we finished pricing everything out, it was a good 40% lower then the other European shops I had called earlier. I asked about OE parts being used. They only quoted OE BMW Replacement parts. The BMW dealerships were so outrageously priced it was insane. The staff explained everything in detail and made sure I was ok with the work being done. The shop Owner Doron spent time talking to me & my daughter and helped us get everything done we could within our budget. The job took 1.5 hours and when I got the car it was washed inside and outside! This was a pleasant surprise to us. We were very, very happy with the quality of service, the staff and the pricing was outstanding. I highly recommend taking ANY European & American Automobile to Davie Motorsport. You will be very happy with this Auto Repair Shop. No frills and excellent BMW service and customer service. Plus, Davie Motors is in walking distance to my home! They match all of their great reviews. I have found my new mechanic shop! These gentleman are BMW gurus and will fix any problem you have. It took me trying to fix my AC before i found Davie Motors and now thanks to them, it's working better than ever. They are true professionals and their work proves it. Davie Motors was a total life saver! I was driving my BMW until my engine stopped working properly and the screen said "drivetrain malfunction". I was referred by a friend and the were quick to assist. First they hooked me up with a $50 tow company which was amazing. Then they ran through the different possibilities of what could be wrong with my car and finally found the issue quickly. Then worked with my warranty company and got my price down from 1,900 all the way down to $580, Amazing!!! Plus there service was amazing and they kept me up to date all along the way with the status of my vehicle. I highly recommend Davie Motors to everyone!! 5 star service!!! Took my 335 to Davie Motors to replace the A/C evaporator, a labor intensive job. They did an excellent job at a reasonable price. If you have a BMW Davie Motors is the place to go. Excellent shop! Their service was very professional, at a fare rate. Very clean and organized. The technician was able to identify the source of an engine stutter in my car that previous mechanics were not able to resolve. From my experience, if you own an European car, take it to a shop that knows those cars, and Davie Motors knows them. They even take pictures of the parts they're replacing and keep you informed on the progress, you don't need to constantly call and request an update. A+ Service. Will definitely use them again if my car needs service or repairs. These guys at Davie Motors are top shelf. Their experience with BMW cars is evident when you talk to them and in the quality of the work they do. When you go to them, they always discuss what's happening with your car, tell your if your problem is a common issue, and great advice improving the performance. They know what they are doing and care about customer service! The staff here are very cool and know what they are doing. They are located in a good area and their shop is a standalone brick & mortar building. Doran the owner and BMW specialist was very kind, he made sure he told me exactly what he had found and even asked for my opinion on what to do rather then telling me since he knew I was a car guy. Davie Motors did a great job with my car as quickly as they could and even tried their best to save me some money because I'm a student. Although my bill came out to be high, it was the nice gesture and respect that will keep me coming back. I changed my headlight at Davie Motors, the stuff works very well. Also give me some advice when I confused. Thank you guys, I will be back. 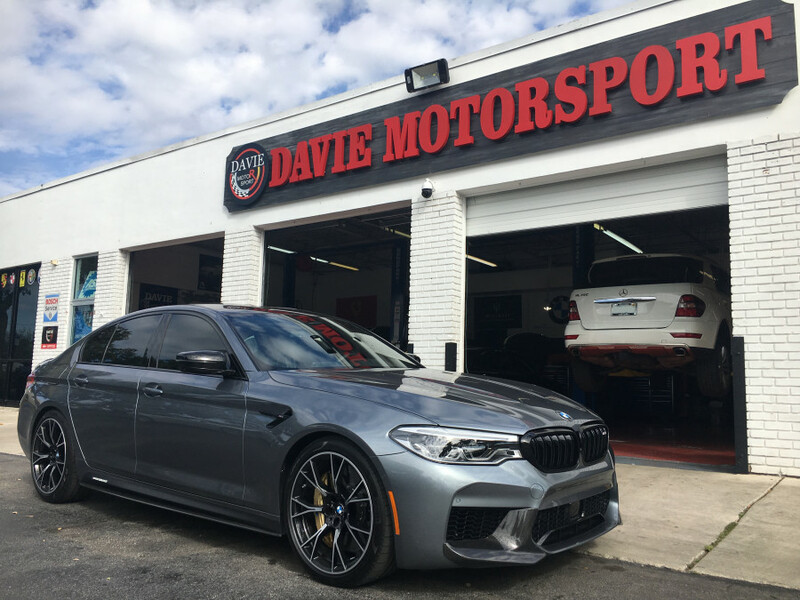 This is my third time going to Davie Motors and they always take care of me and my M5. Quality Work, if your BMW needs a maint shop and don't like paying "Stealer" prices then Davie Motors is for you. The service is exceptional. My BMW has been to the shop to be serviced numerous times. Doron and his team are very professional and knowledgeable on foreign cars. I have recommended all of my colleagues to Davie Motors. Doron @ Davie Motors is the best thing since sliced bread! The shop is super clean very honest and more importantly I NEVER have to go back for the same problem. Keep it up guys! I took my BMW e46 there with a brake and check engine light issue. Three other mechanics looked at my car and could not figure out the issue due to my aftermarket performance parts. As soon as I walked in I knew I picked the right place. They were incredibly friendly and appreciated the performance aftermarket modifications to the car. Davie Motors was very determined to find the problem, and kept me up to date throughout the whole process. I have never been to a better performance mechanic. They were very polite, nice, and helpful. They were also very reasonable with the pricing of the issue. I am from Maryland and based my decision off of reviews. All the positive reviews are spot on. I will definitely go back if I have any issue. They are also great with performance modifications,and work with Active Autowerke.